Treble crochet (or Triple Crochet) is the last of what I would call the basic crochet stitches. 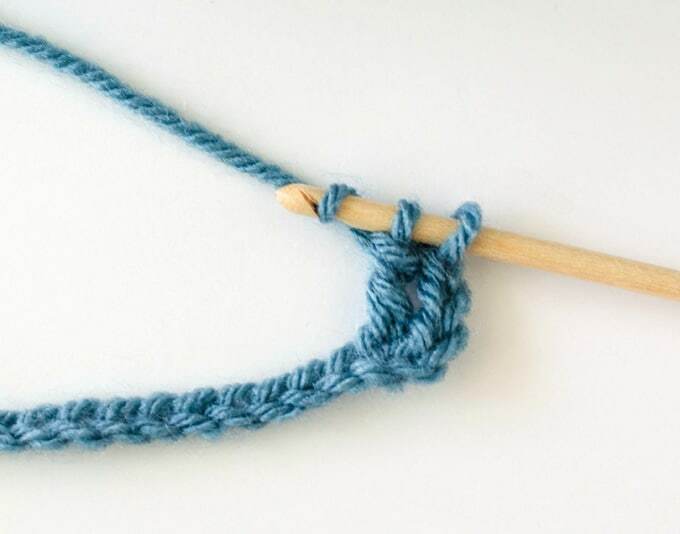 Here is a great tutorial to help you learn how to treble crochet! It is taller than double crochet and shorter than double treble crochet and triple treble crochet. 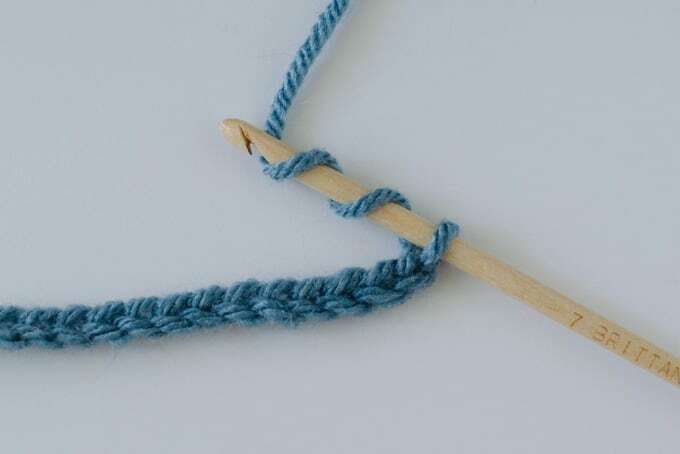 This tutorial will cover double treble crochet and triple treble crochet because once you understand treble crochet, it is easy to get the next two stitches. Ready? Here we go! 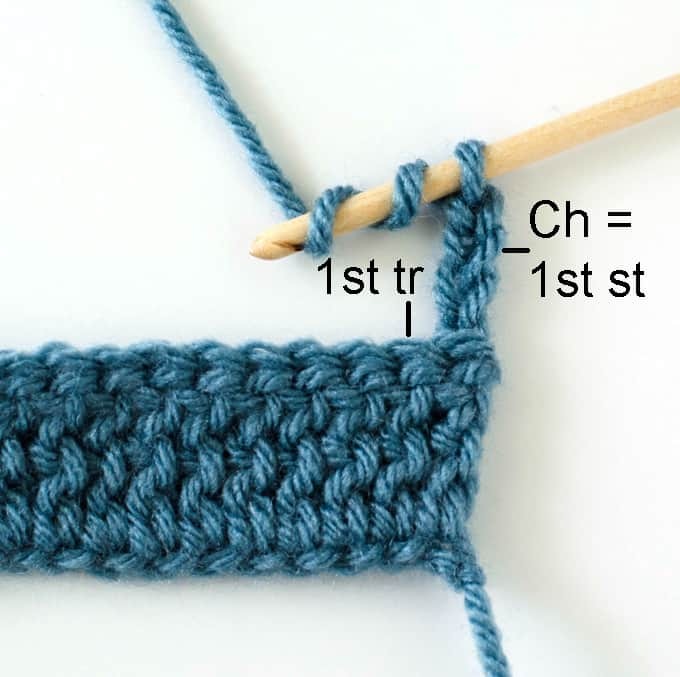 Treble Crochet is abbreviated tr. 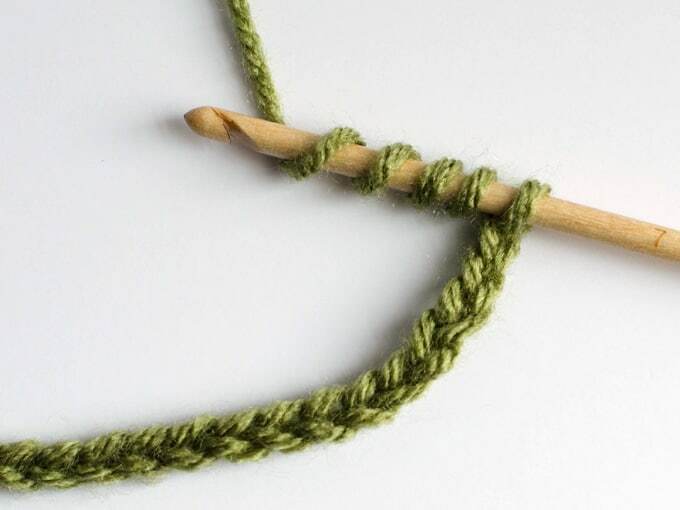 To start, make a foundation chain, then wrap the yarn 2 times around the hook. Insert the hook into the 5th chain from the hook. Yarn over and pull up a loop through the chain. There are now 4 loops on the hook. Yarn over again and pull a loop through the first 2 loops on the hook. There are now 3 loops on the hook. Yarn over again, and pull a loop through the 1st 2 loops on the hook. Yarn over a final time and pull a loop through the last 2 loops. So let’s take a look. Here’s a row of treble crochet. When starting the next row, chain 4. This chain four counts as the first treble crochet of the next row. Make the next stitch in the in the row (see “1st tr” marked in the photo above). At the end of the row, treble crochet into the last stitch, which is the chain 4 starting stitch of the previous row. Ta da! You now know how to treble crochet! 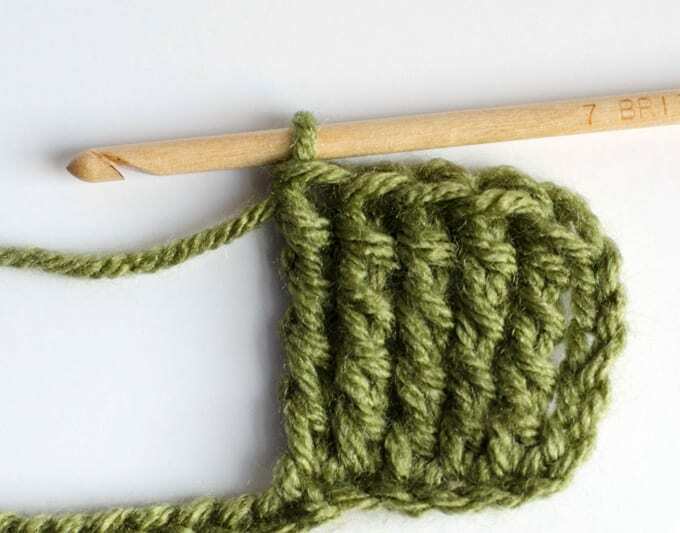 Did you notice that it is one more yarn over to start than a double crochet? That brings us to learning the double treble crochet and the triple treble crochet stitches. Double treble crochet is abbreviated dtr and includes one more loop and one more ‘pull through 2 loops’ than treble crochet. 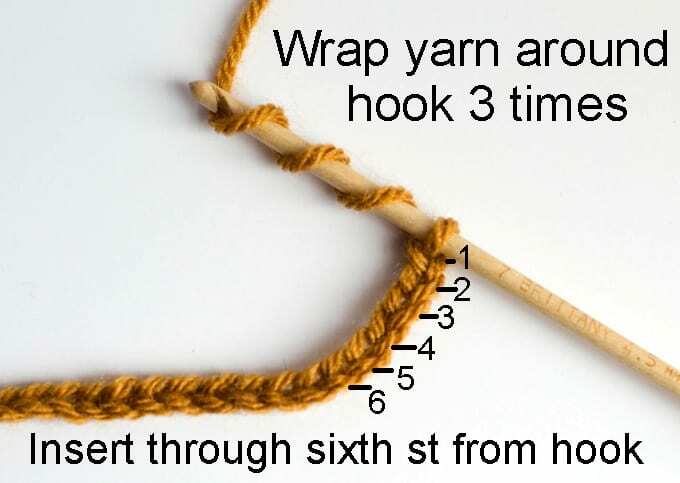 To start, wrap the yarn 3 times around the hook and then insert the hook through the 6th chain fro the hook. 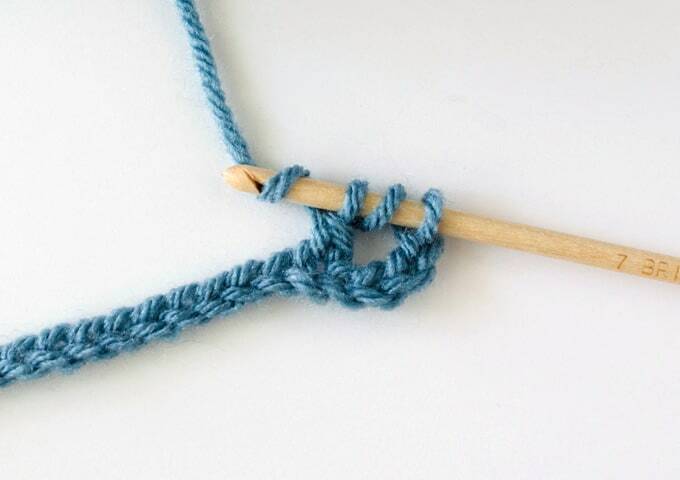 Pull up a loop and then work the loops off 2 at a time, just as for treble crochet. New rows start with 5 chains (which counts as the 1st stitch in the row). Triple Treble Crochet is abbreviated trtr. It is worked similarly to treble crochet and double treble crochet. 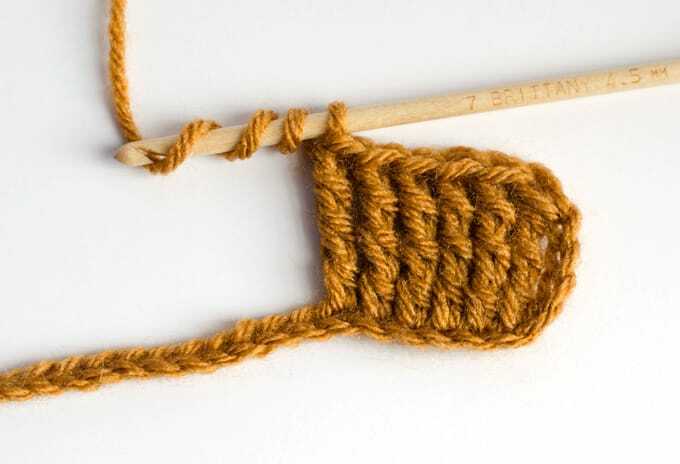 First, wrap the yarn around 4 times and then insert the hook in the 7th chain from the hook. The stitch is worked similarly to the other stitches, working off 2 loops at a time. New rows start with 6 chains (which count as the first stitch in the row). 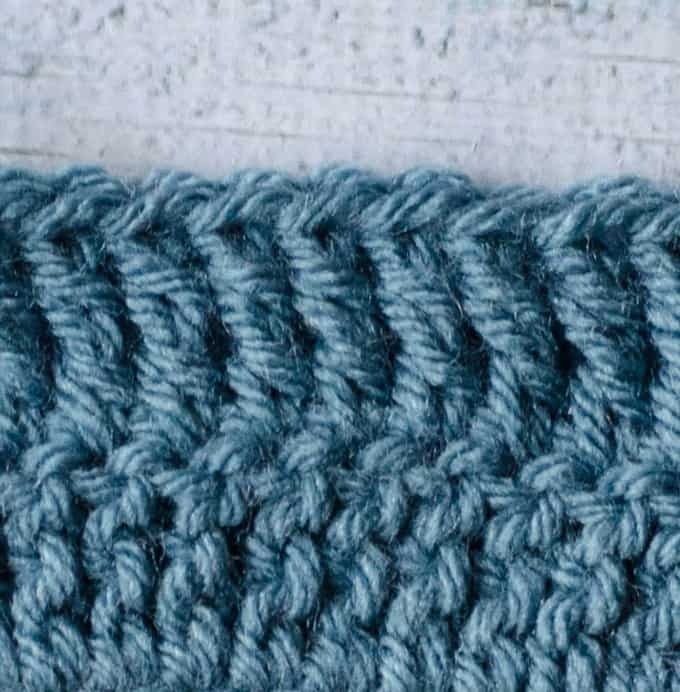 If you’ve been following along, you now know the basic crochet stitches. Congratulations! 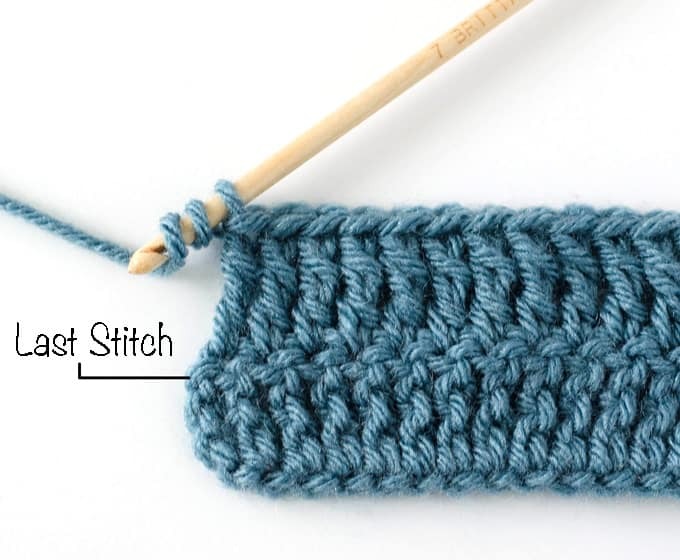 Most stitch patterns are variations of these basic stitches. If you’d like to see how the stitches look compared to each other, check out the great graphic here. 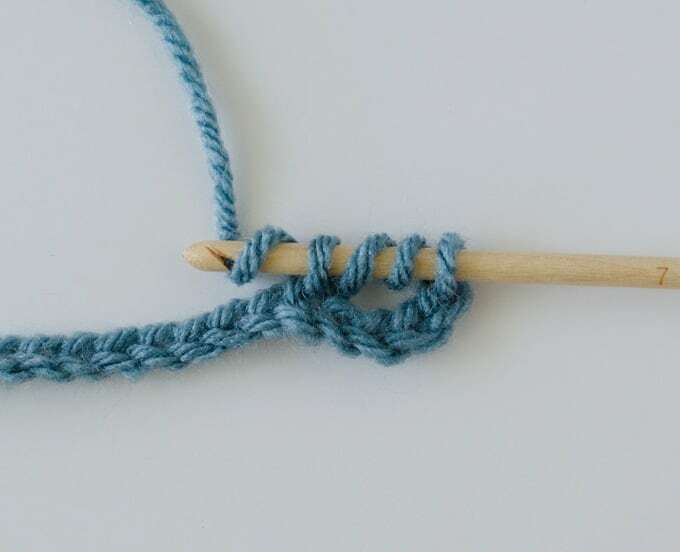 If you need a refresher or missed a stitch, click: slip knot, chain, slip stitch single crochet, half double crochet or double crochet.